In case you haven’t heard there is a new bacon king of Chicago. His name is Chef Lance Avery, creator of Big Fork Bacon Sausages. 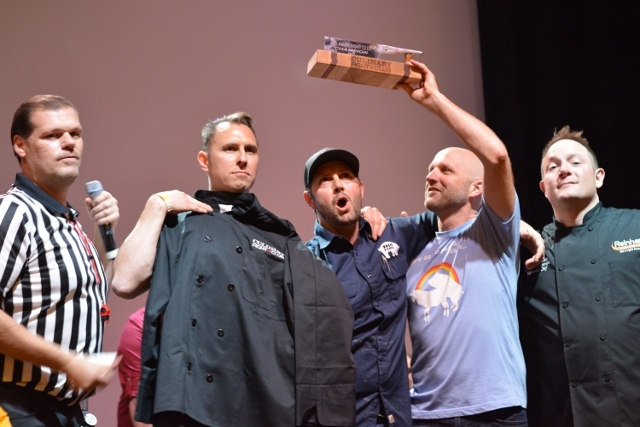 He won the title at our Pork Fight in March at The Chop Shop in Wicker Park. 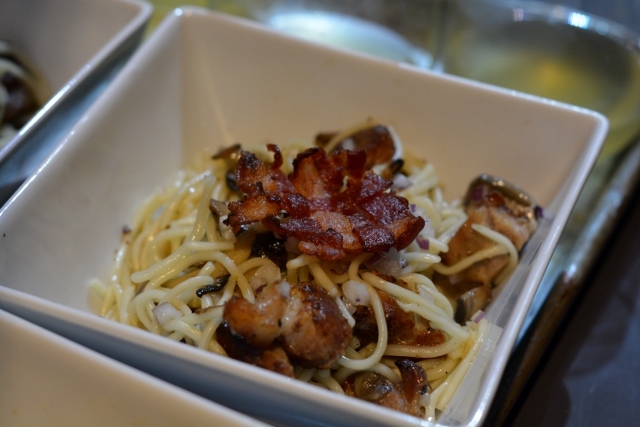 Serving up a savory dish with mushrooms, pasta and bacon, he managed to win over the judges. I can say this was a dish that had depth of flavor and for a mushroom lover like myself couldn’t go wrong. 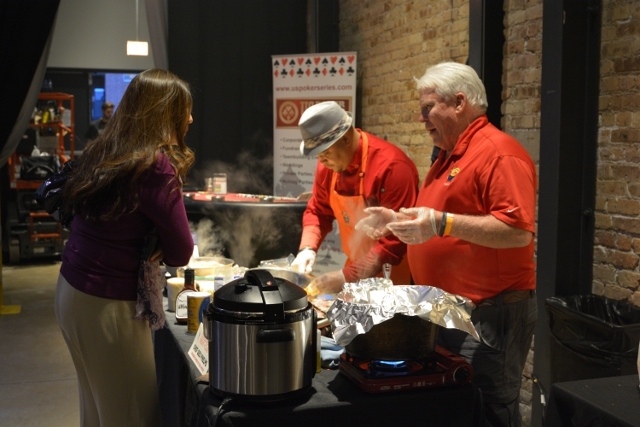 Along with four other chefs, the competition got a little smoky with some illegal wood chips from Team Kimski headed by Chef Tony Balestreri. Their pork was fabulous but the sauce hit or miss in heat for some us. 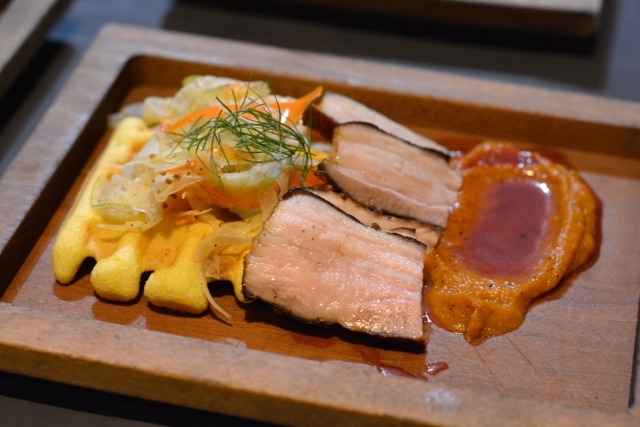 They did win fan favorite though and I can understand that their pork was perfectly executed. Hands down their pork was the best solo, but together the dish wasn’t our winner. Chef Ross Johnson from Carriage Greens Country Club crafted an amazing egg roll concoction. Balanced and crispy a feat in itself to make so many servings in the time limit. Every person got to taste that freshly fried roll. Absolutely well rounded. Not only did he compete, but he also donated back the pork he didn’t use to FIGHT2FEED to feed our hungry friends. 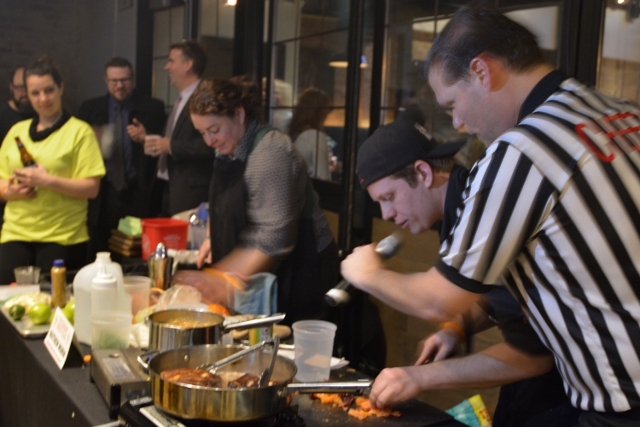 You can see him battling it out again tomorrow night at Culinary Fight Club Taco! The runner up on overall points was Chef George “Geo” Phelps from Ohio. He is a heavy competitor in the BBQ world and traveled to be in this fight. Again his flavors were on point. The execution was there but personally I was won over by Chef Lance’s dish. Perhaps the judges were as well. It’s hard to know when mere points separate the winning scores what really counted against them. The most well rounded plate had to be from the front of the house, Chef Matthew Morin. Working under Rick Bayless, he clearly learned perfect plating. Even his sample plates were flawlessly plated. With delicate orange slices and perfectly assembled towers. Let’s be honest though, even if you learn something that doesn’t mean you can pull it off. I’d like to see more of our chefs plating up fabulous samples like Chef Morin. He may just be managing the front of the house, but he has what it takes to throw down with everyone else. We certainly thought he might just take 1st place, but we hope to see him at another fight. Join us again this Monday April 17th for another Culinary Fight Club. 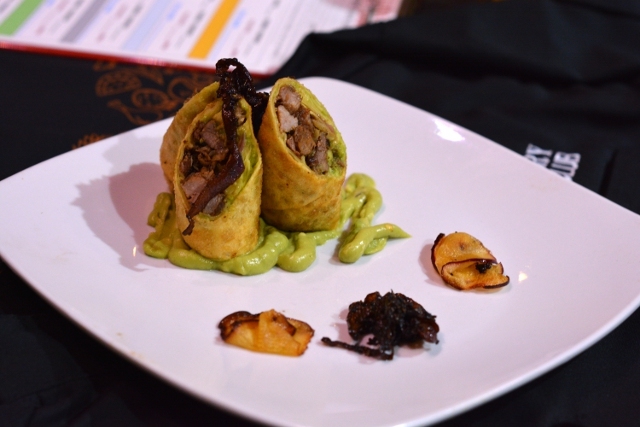 Taste every dish including the winners like the one pictured above. This time the battle of the Taco is taking place at Cesar’s Killer Margaritas on Clark Street in Wrigleyville. Be prepared to see another epic battle as our chefs compete to take home the title of Killer Tacos! Ok, so it’s not killer tacos, but they will be to die for delicious! 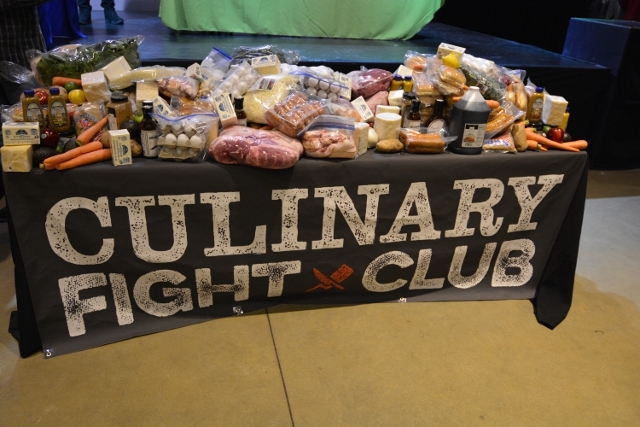 As always you can learn more about Culinary Fight Club here and FIGHT2FEED here.